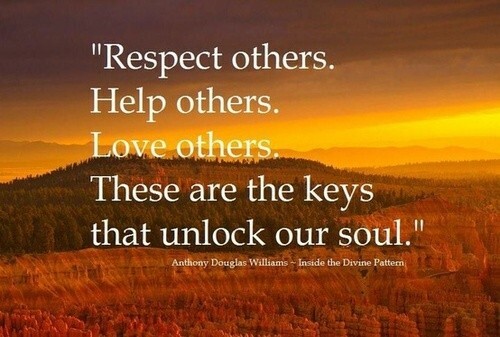 Respect can only be gain when given to others. You should never expect respect from others when you treat them like nothing else but your puppet. Sometimes it becomes difficult to respect the people who do not deserve that respect. You should always respect those who really deserve it and not everyone is deserving of your respect. 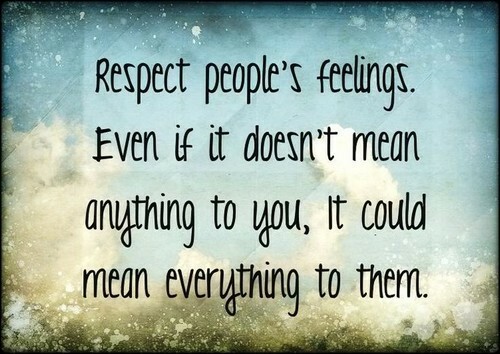 Following are some quotes and sayings about respecting others. I hope you like them. It is our misconception that every person who is older than us is deserving of your respect. NO! The only person who deserve your respect is the one who respects you as well. Give everyone a chance but if that chance turns out to be a mistake, never repeat it. Not everyone you meet in your life deserves your love and respect. Respect those who respect you back and love those whom you can respect. When you do not respect the people who really deserve it you lose them and the people who deserve respect are the real worthy people you know. It is not me who has to be respectful. It is your duty to be a person whom I would want to respect. Those who do not want you in your life do not know your worth, let them go because you are going to find people who will respect you and love you for who you are and those will be the people whom you will want to respect and those will be the people who’ll really deserve it. If they think that you are not worth their respect, let it be like that, because no one wants to keep people around them who do not respect and value them. Deserve is a tricky word, it can make a person worthy or not worthy of your respect, love and time. Never let others consume you, those who respect you will not never let you down and those who do not, will consume you and you will just get tired respecting them. 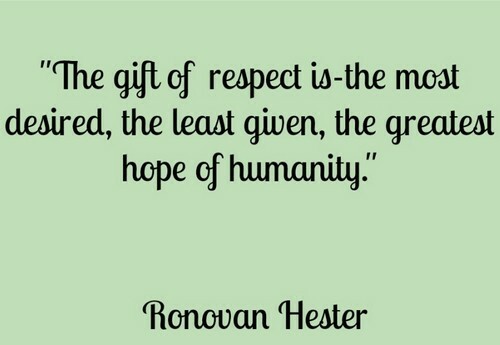 So it is better to give your respect and time to people who actually deserve it. Most of the people out there is selfish, people want everything for themselves and they can go to any extend to get what they want. And never to forget that RESPECT means nothing to them and let me tell you, never be that person and never let any person who matches the above description in your life. They do not deserve you. It is better to be alone than to have people in your life who do not respect you and value you. Because sometimes people hurt more than loneliness. 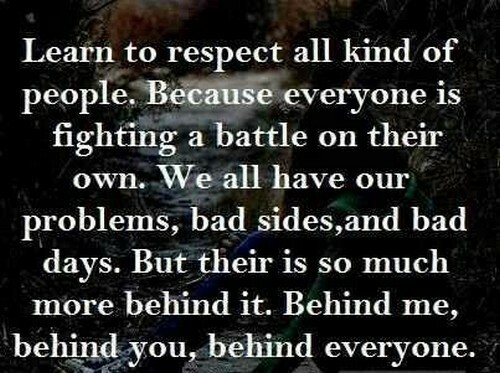 Always be the one to deserve others respect. No one will respect you until you will make them respect you. Be nice to people, because it never hurts to be nice. The best way to earn someone’s respect is by giving them respect. When you treat someone with respect you buy a house in their heart. And that house stays there forever. Respect is the main pillar of relationship. You cannot build a building without it, even if you do it will collapse soon enough. When there is no respect between two people, no relationship can exist between them, it is just not possible. Relationships can be fragile in start. And an element of respect can make it stronger than you can ever imagine. Be respectful to your wife, she left everything for you and she is being faithful to you, never show any act of disrespect. Love is important for relationship, because of course a relationship cannot exist without love but so is respect, it cannot exist without that too. I do not care about money or materialistic things, all I want from him is respect and letting me know that I am not wasting my time with him and we have a future together. We can have our differences, well… everyone has their own point of view, so I do not want you to agree with everything I say, all I want is you to respect my opinion and do not criticize me on them, and I will do the same. In the end this is the only way to a healthy relationship. Relationships can be hard, but never lose hope and keep respecting each other, that way, when the time will be right, you will not regret anything at all. Respect is a character of a person that can make anyone fall for you and it looks charming and wonderful on every single person. I gave up on you, because you lost respect for me and I cannot bear that, I still love you but I cannot be with someone who cannot respect me the way I respect him. Respect is the basic requirement for a relationship. You lose your respect when you raise your hand to hurt someone. You can never earn that respect back, no matter how much sorry you are or how much you regret it, it is not coming back. When I came home late, or I’m busy with my stuff or not able to give you time, you should respect that. You should know that sometimes I need time for myself too. Being busy does not mean that I do not love you, All I want from you is to understand that the time I am taking for myself is necessary and if I will not take it, I will not be able to focus on us as well. Everything we do for each other is out of love, and out of respect. And the thing is, it SHOULD be with love and respect because if it is not, then it is not a relationship, it is just a prison. Respect makes a relationship perfect and strong. And no one can deny it. Because when you do not respect the other person you can do things selfishly like cheat, hit, slap and insult. So it is better to be alone than to have a relationship without respect. When you show respect to others, that act seeds a tree in their hearts and their memory keeps watering it from time to time, and that tree soon starts giving you fruit, which by no means is something not regretful. If you are successful but respect is not one of those things you managed to succeed, then what good is your success? 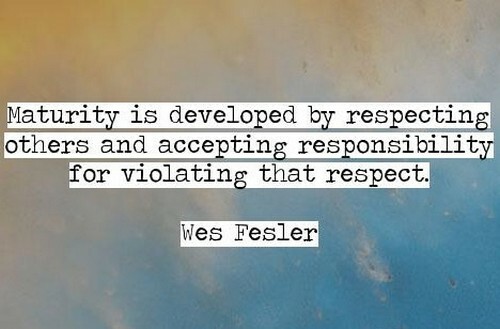 Being respectful never hurts you, but being disrespectful does, not just you but many others as well. We should be more respectful with others and let them know that we understand them. It can be a step toward a better world. Sometimes it hurts to be nice when people around you do not appreciate you and let you down every single time. But the worst thing is that you cannot stop doing it, you just cannot stop being nice and giving the respect to people which sometimes they do not deserve. Forgiving people means giving them the respect that they once lost from you, it is like starting over and giving them another chance. If you do that then you are the strongest person ever. But be smart as well, forgive them but do not to forget what they did, it will keep you from getting hurt again. Being respectful does not hurt, but being respectful to wrong people surely can. Always check who deserves your respect and who does not. Being beautiful and charming can help you for a little while, but being respectful helps you for the life time. Sometimes all you want to do is punch them in the face, but you are respectful and do not do it out of respect or the relationship you had but it doesn’t mean you cannot do it. The best thing that you can give to someone is respect. It is free, effective and everlasting. Being respectful does not mean being respectful just on someone’s face. It means being respectful on their face and as well as behind their back. Do not defend yourself by talking, defend yourself by acting. Let them know that you are better than they think of you and let them know that they were wrong about you by showing who you really are. That is the only way to earn respect. No one can make you to respect them unless you want to. Yes, you can be afraid of a person and do as they say but that is not respect, that is fear. Have a character so good so that people will respect you, then you will not have to ask anyone for their respect, they will give it to you instinctively. 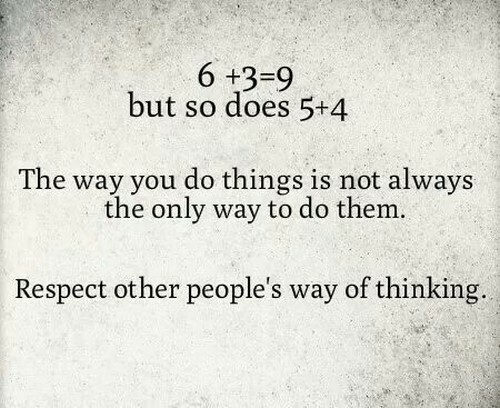 Be respectful and do not expect the same. People who hurt you and act like you are the one who hurt them are the worst. You cannot respect them even if you want to. It just feels like everything you did for them was a waste of time and no matter how hard you try you cannot respect them even a bit. The only thing you can do for the people who doesn’t respect you is to cut them from your life and never let their negativity affect you anymore. Be a bigger person and show them the respect they do not deserve. keep yourself as far as you can from them. Happy are those who respect others and never let negativity get in to them. Be respectful, not for anybody but for yourself. Being respectful is a reflection of your upbringing. 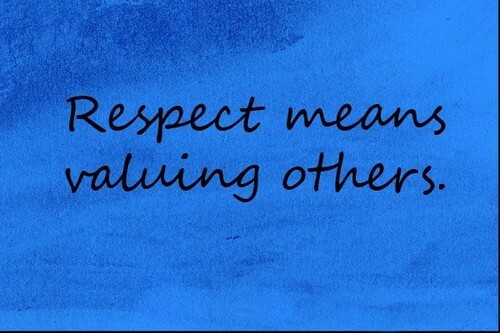 Being respectful is a good value that everyone must know by heart.